The eMAM Vault combines digital asset management, transcoding, and LTO library management into a single scalable system. The simple eMAM browser interface can now manage storage, processing, and archive offering a smart, cost-effective solution. Users can quickly search and preview media using online proxies, while the original high resolution content can be securely archived to LTO. High speed transcoding allows users to make numerous formats as required and deliver to editing systems, playout servers, websites, mobile devices, and more. eMAM Vault has several turnkey models or a software only option. 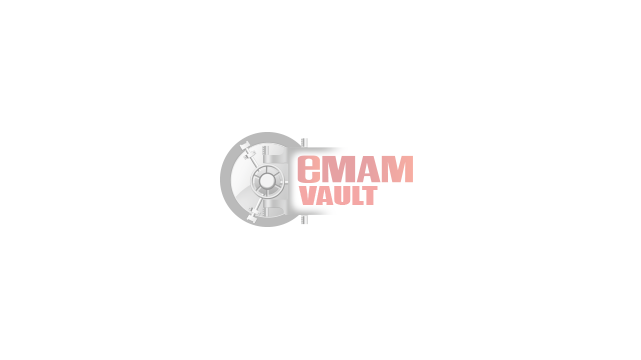 Whether you are just starting or need a powerful, high-end system, eMAM Vault is the right archive choice for your organization. Simple browser interface: nearline and archived content can be accessed from any web browser. 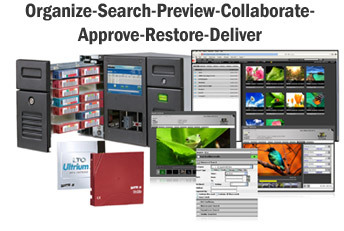 Easily accessible: the powerful search engine makes it easy to find content using embedded and customized metadata. Secure: original content is archived securely on LTO, while proxies can be viewed by users or user groups with permission. Downloads and other functions can all be restricted. Workflow tools: the system powers online collaboration, rough cuts, approvals, and more. Flexible delivery: content can be transcoded and delivered as needed. LTO is the preferred long-term archive storage format. Productivity improves with quicker approval/reviews and access an online library of all content. Tape budget can be cut. Expensive media can be reused once the content is securely stored on cheaper LTOs in eMAM Vault.